Posted in: Arrests, Media Release. Tagged: Road Rage. A Lewisburg man is in serious trouble after threatening another driver with a gun during a road rage incident. 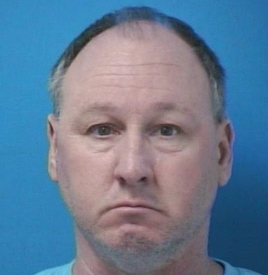 On Saturday, 49-year-old Eric Geiling of Lewisburg pulled behind a motorcycle that had stopped on the shoulder of I-65 South. Geiling got out of his vehicle while holding a gun and approached the victim. Geiling threatened to shoot and kill him after apparently becoming upset over how the driver was operating the motorcycle. Geiling left the scene prior to officers arriving but was later tracked down and arrested. Charged with Aggravated Assault, Geiling is free on the $9,000 bond set by the Magistrate. He is due in court on June 22 at 1:00 p.m.
Irrational drivers who turn their aggression into a violent encounter in Franklin will not be tolerated. If convicted, Geiling could face several years in prison and be fined up to $10,000. If you are confronted with violence during a road rage encounter, the best way to protect yourself and your family is to lock your doors and drive away from the danger while calling 911.